“By rights this should have been a disaster…” As words that could title Coldplay’s biography, these must surely rank pretty highly? 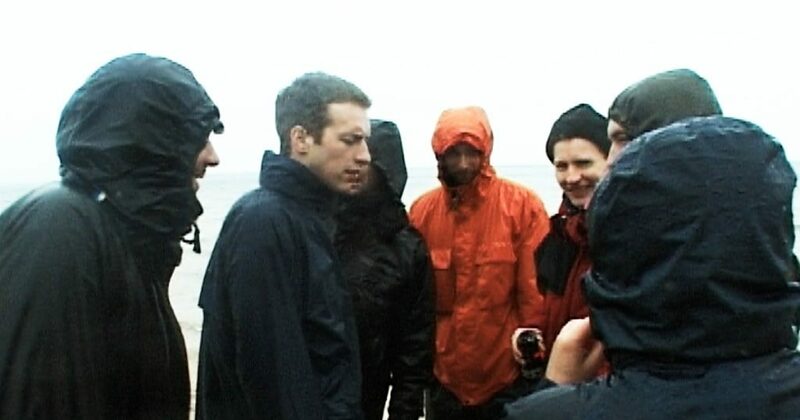 The black and white ‘behind the scenes’ footage here was shot by Mat Whitecross, the bands long-time friend who made the Bigger Stronger video; a video on a beach that ended up getting scrapped – he must surely have spent much of this day wondering if the same would happen again here! He did manage to ask Chris a quick question about the upcoming album while they were standing about, though. 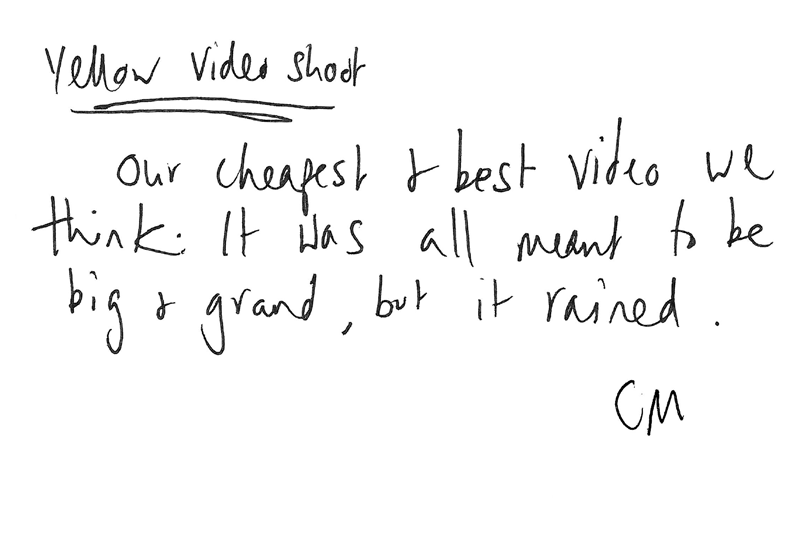 The simplicity of the final video could not have been more perfect – and for many people, was their introduction to the band. Nobody would ever have signed off on a plan to make a video that was simply the singer walking down a beach singing the song, but anything else seems utterly unthinkable now. In an effort to bring some variety to the single shot, colour effects were manipulated during post-production to make the video begin in blue-ish dark and move through into bright daylight. It’s worth noting that this effect meant that the opening frames of the Yellow video could easily have fit into the Ghost Stories artwork that was to come 14 years later! Co-incidence, or subliminal self-influence? For some time there was a website that went to great lengths to explain how the video had been made at a specific time on a specific day to take advantage of a natural phenomena that caused the daylight to change in real time. Given the chaos of the day, it’s not surprising that this theory gave those who actually *did* make the video a laugh for many years.